During his residency for his Master of Theology degree, Dr. Essex ministered with Campus Crusade and later as a student pastor in Dallas, Texas. Following graduation, he served as Academic Dean at Grace Bible Institute in Long Beach, California. During this time he was also involved as a church planter, interim pastor, and later as an associate pastor. For nine years he pastored in Redondo Beach. 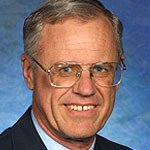 Dr. Essex came to The Master's Seminary as an adjunct professor in 1992, joining the faculty full-time in 1994.